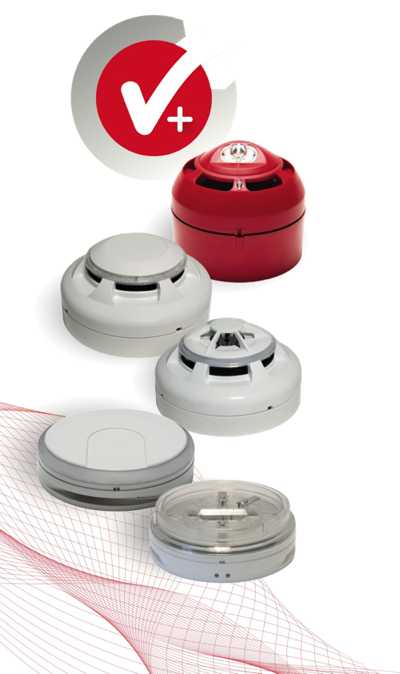 The Nittan Group has been at the very forefront of the international fire protection industry since 1954 and has sales, R&D and manufacturing bases in Japan, Vietnam, Sweden and the UK. Throughout the world, Nittan has an enviable reputation for continuous innovation and exceptional quality. The group currently enjoys a £275m turnover worldwide and manufactures over four million detectors each year, while pursuing a commitment to total excellence in everything we do. Nittan was established in 1972 in the UK and has grown to become a major force in the EMEA fire protection industry. With the extensive support facilities of our Tokyo parent company, Nittan Europe now supplies in excess of 500,000 detectors per year, all of which are made to marine standard for exceptional quality. There’s something very special about Nittan engineering, design and build quality. Unlike almost anyone else in the industry, Nittan has considerable specialist expertise in designing and supplying fire safety systems for some of the most demanding markets on earth. We have specialist divisions dedicated solely to engineering for oil refineries and marine applications for example. Both industries set safety standards well in excess of those demanded in most other fields. Because we possess this expertise, we routinely apply it to everything we do, bringing the very highest standards of build quality, engineering excellence, high performance and unrivalled reliability into all areas of fire safety. When you specify a Nittan system, you’ll directly benefit from this unrivalled expertise and commitment to standards far above the industry norm. At Nittan Europe, we particularly pride ourselves in working in close partnership with clients at every stage of the project. We believe that there is no better way to achieve an optimum solution or to provide total customer satisfaction. The company employs a large team of experienced, specialist engineers, capable of providing solutions to meet your exact requirements. This helps to prevent wastage while ensuring that the finished system provides the optimum standard of protection that you require. Our expertise will also ensure you meet or exceed every applicable standard while helping to address your environmental targets and ambitions. Working in partnership with you at every stage is an important part of our commitment to excellence. When it comes to environmental concerns, it’s reassuring to know that Nittan is committed to the highest of standards in everything we do. We believe that our environmental procedures are amongst the most rigorous in the industry and we constantly strive to set new standards in all we do. When you specify Nittan products, you can therefore be assured that your project is simply as environmentally friendly as it can be. Furthermore, when working in partnership with our clients, our engineering teams always ensure that any environmental concerns are addressed at every step of the process. Throughout the world, Nittan’s experience and expertise is regularly called upon to provide advice and guidance. Nittan representatives and engineers sit on every standards body, and are instrumental in helping to create and shape ever more rigorous fire safety standards. We also work closely with every accreditation body around the world, providing us with an enviable global perspective. Advances in one region can therefore be viewed, appreciated and shared to the benefit of everyone. As we help to shape the standards of tomorrow, Nittan is ideally placed to develop and engineer the advanced fire safety technology that will be required – and to bring it to our customers first. That’s just one reason why Nittan fire systems are amongst the most advanced in the market.